If you prefer classic and contemporary style for your home, wood blinds can help you achieve the complete design that you want. Wood blind’s unique features can easily complement in any interior designs because of its wide varieties of colors. Here’s another option in making your wood blinds more attractive, adding a fabric tape to your blinds, which is known as Wood Blinds with cloth tape. 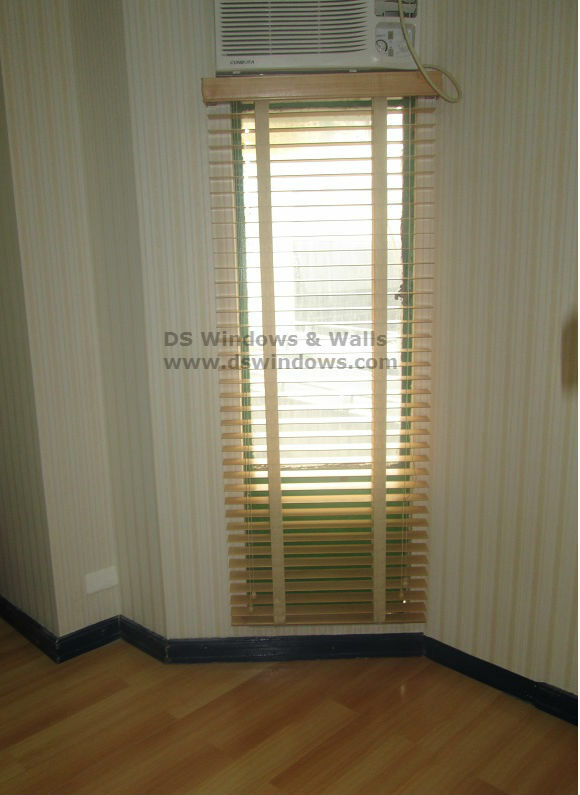 Cloth tape is a treatment ideally for real wood and faux wood blinds. Using a fabric tape will add another layer of interest and texture into your window blinds and it also enhances any style and color scheme in your room. Our client from Parañaque City, Philippines opted for real wood blinds and adds cloth tape on it to create muted style and blends with furniture. This color adds warm into their home interior. 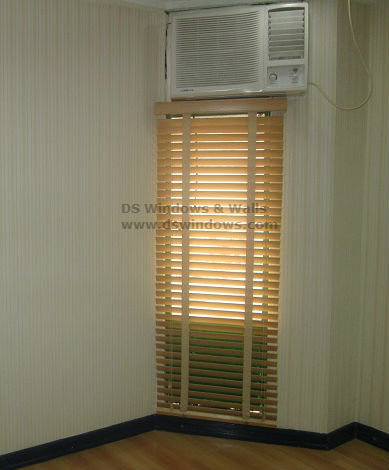 DS Windows & Walls offers varieties of window blinds like mini blinds, roller blinds, combi blinds, PVC and fabric vertical blinds and wood blinds. We also offer different types of folding doors, wallpapers and carpets. To check our sample products, you can visit our shops located at 4th level Waltermart, Makati City, 3rd Robinson Metro East, Pasig City, 2nd level Pacific Mall, Lucena City. 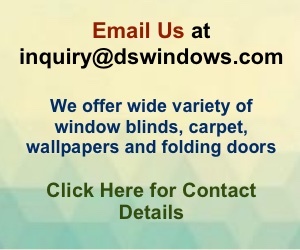 For inquiries, you can call us at (02) 893-1373 / (02) 403-3262 / 0916-311-3909 or email us at inquiry@dswindows.com. "If you want to make something for yourself, work harder than everybody else"